Tarzana Truck Accident Personal Injury and Wrongful Death Claim Lawyers! 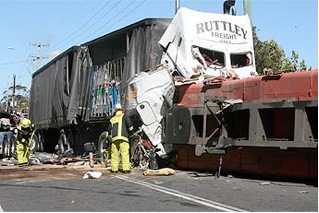 Do You Need Assistance With Your Truck Accident Injury Case? When you’ve been hurt or seriously injured in a truck collision, or a relative killed with a wrongful death accident claim, you need experienced and aggressive injury and wrongful death lawyers to provide the best legal representation with your Tarzana truck accident injury or wrongful death claim. Trust our more than 40 years of experience in assisting victims of truck and car accidents to obtain maximum compensation for emotional losses, as well as physical injuries, for all your medical bills, loss of earnings, property damage, rental reimbursement and other monetary damages. Our expertise extends to clients fighting wrongful death claims of a loved one who died in a fatal truck accident, car crash, motorcycle and bicycle accidents, or any other type of accident. To know more about our personal injury lawyers, please visit our home page, our lawyers profiles, and our testimonial pages. Whether you need help getting money for medical bills and car repairs, or you need expert lawyers to step in and deal with the insurance company, we’re here to help get you back on your feet. All you need do is call us at 818-222-3400 or 1.866 INJURY 2 (after hours please dial 1) or simply click here for our 24/7 FREE consultation. Contact us now for expert legal consultation from our experienced personal injury lawyers and legal team for a completely FREE & CONFIDENTIAL CONSULTATION and CASE EVALUATION. Click here 24/7 to reach our injury attorneys for a truck accident, car accident or wrongful death case consultation now. 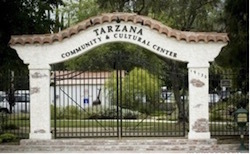 Tarzana is an affluent and highly educated neighborhood in the west part of the San Fernando Valley region in the city of Los Angeles, California. It is primarily a residential community on the site of a former ranch owned by author Edgar Rice Burroughs. The neighborhood is named after Burroughs’ famous storybook jungle character hero, Tarzan. Tarzana is bordered by Topanga State Park on the south, on the east by Encino, on the north by Reseda, and to the west by Woodland Hills. Further west, Tarzana also is close to Calabasas and Agoura. According to the 2010 U.S. Census, Tarzana is home to over 35,502 people. If you have a truck accident, car collision, motorcycle crash or any other accident related personal injury claim in Tarzana, Encino, Reseda, Woodland Hills, Canoga Park, Chatsworth or anywhere in the San Fernando Valley or Los Angeles, please contact our experienced and trusted personal injury lawyers for a completely FREE CONSULTATION. Our Personal Injury Attorneys & Wrongful Death Accident Lawyers are Here to Help You Win! We have recovered more than $100,000,000.00 for our personal injury clients. An Absolutely Free & Confidential Case Consultation and Case Evaluation! Here are some quick and easy ways to Contact Us 24/7 for your FREE & CONFIDENTIAL case consultation:. For our quick and easy consultation, fill-out the details in our contact us form to tell us about your Tarzana, CA truck accident, car accident or other injury accident. We work on contingency fees! Meaning there is NO CHARGE for our initial consultation (it is FREE) and we do NOT get paid until you WIN!! !